Coming away from the second season of Saekano -How to Raise a Boring Gilfriend-, I felt something that I haven’t legitimately felt in a long time. 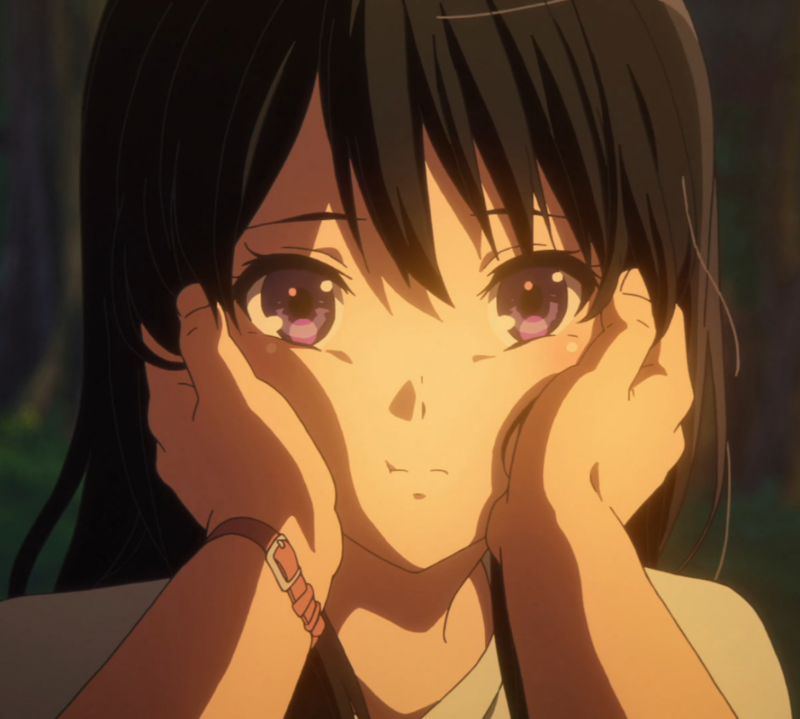 Amplified by the uncertainty of a season 3 (because I was honestly a little surprised we got a season 2), the end of Saekano Flat left me with a joyful emptiness, the kind where the only bitterness I feel comes from the desire I have to see more. I have been so utterly enthralled by what Tomoya and his team have accomplished, and now I’m even more excited for the future holds given the change that has occurred (trying not to spoil it). It’s so interesting to see a harem, of all things, deal with substantive change. In Saekano, that change is brought upon when its characters are forced to make significant decisions that’ll greatly affect their lives in ways that I’m really trying hard not to spoil here. What I find truly gratifying about the way the drama was developed is that it doesn’t stem from hackneyed, boneheaded mistakes. Far too often have I seen lesser shows try to stir up drama by having their characters say and do the obviously wrong thing, leaving viewers like me to facepalm so hard it leaves a fracture in our skulls. Thankfully, it always feels like a natural progression here, and with an intelligent cast of character, you can always rely on them to make difficult, but rational decisions. Even in Tomoya’s more neglectful moments, nothing he does feels like something he wouldn’t, nor does it even feel very idiotic, which for some reason seems to be a high bar for harem main protagonists to reach. His reasonable mistakes lead to his greater realizations, advancing the plot in ways I had enjoyed and not entirely expected. Of course, it’s incredibly fitting that choice plays a huge role in the story of a doujin group creating a dating sim. Saekano Flat nailed the themes of choice and change, though for the longest time the show was mainly centered around what it means to be a “creative”. Through showing and not telling (which I touched on in my last post, *cough* check it out *cough*), this season gives an awesome look at what the path of the creator could be, with location/inspiration scouting, talent finding, artistic reflection, original vision transformation, deadlines, brutal crunch times, and just everyone giving it their all. From an outside lens, we’re able to see what this project appears to be. Eriri’s artwork is presented, pivotal scenes are acted out by Megumi, and plot details are revealed in discussions between Utaha and Tomoya. While their visual novel hasn’t been created for real audiences in this disgusting 3D world that we live in, the existence of their creation within the story is more than justified. Though it would be really cool if it was. In comparison to season one, Saekano Flat was far more focused on what it wanted to accomplish, and that accomplishment was one that hadn’t a lot to do with Michiru. The musician of the team received little to no screen time in this season, though it was probably for the best. The most important characters, at least for this season, were Megumi, Utaha, and Eriri, for reasons that I refuse to spoil. What I will say is that certain relationship advanced in heavy and heartwarming ways, greatly aiding in their growth not only as characters, but more importantly as “creatives”. The handling of the harem aspect of the show is fascinatingly done. “Fanservice” episodes are left as pre-season OVAs, which is an odd choice considering that usually comes after a season, when you actually know the characters. These episodes are meant pretty much purely as comedic skin shows, though that doesn’t mean the regular seasons are “skin-free”. There are a lot of frames to be found in the show that would probably be considered by a general audience as “arousing”. These frames can serve multiple purposes, one of which is obvious so I won’t bother mentioning. A different reason I had in mind was the ironic humor of the setting, Tomoya being a project lead of a dating simulator who himself is surrounded by a gaggle of beautiful girls that have each fallen for him. What’s interesting about him as a protagonist is that he blatantly ignores to actively avoids their advances so as to not distract him from his primary focus of creating his visual novel. What’s really nice is that his passion for the craft, for the art, and his general cheerful Otaku outlook on life are what most of the girls fell for in the first place. As a self-proclaimed connoisseur of romantic-comedies, I find that cliché sparks of attraction aren’t worth much. Stuff like the savior trope, where saving a person from either a physical or mental threat becomes the key to creating a relationship; These kinds of romantic setups are overdone, and the connections that form from them are rarely memorable or unique in any way. Of course, there’s a much more intellectual way of using of using the savior trope, but I’ll save that for another time because I’m getting off-track. The romantic setups in Saekano are fairly complex, but they all boil down to an admiration of who Tomoya is as a person. He’s someone who, at least for a brief period, the girls found they can rely on to push themselves forward. Nothing helps a person’s growth more than someone to hold them to higher standards, and Tomoya’s holds his vision to the highest…which causes some problems down the road. Saekano Flat really made me care about these characters, hoping that all their efforts prove fruitful in the end, mostly because I was able to witness these efforts and the struggles they had to push through. Their emotions can be easily read because this project sometimes forced them into their rawest form. I’m really happy about where their story went because it doesn’t end at the completion of their VN. Instead, the most intriguing thing about Saekano Flat is what happens next, and it only left me more excited for what the future may hold. Thanks for the post! You’ve convinced me to start watching saekano.